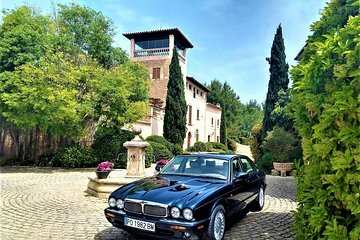 Travel to Mallorca's wine country while enjoying the luxury of a classic Jaguar on this half-day private tour. Enjoy personalized attention and a flexible itinerary wile visiting a private family wine estate for a tour and lesson on the winemaking process. Finish up with a tasting of the estate's top wines, accompanied by traditional Spanish tapas. Your central Palma hotel or your cruise terminal at Palma port.